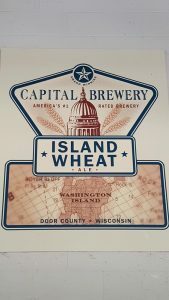 Capital Brewery is just outside the state’s capital, in Madison’s highly-touted suburb of Middleton. 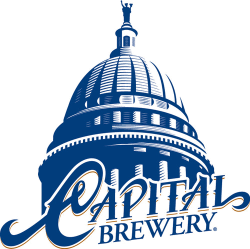 Also highly touted are Capital’s beers: they’ve won over 200 awards including a Gold at the Great American Beer Fest. 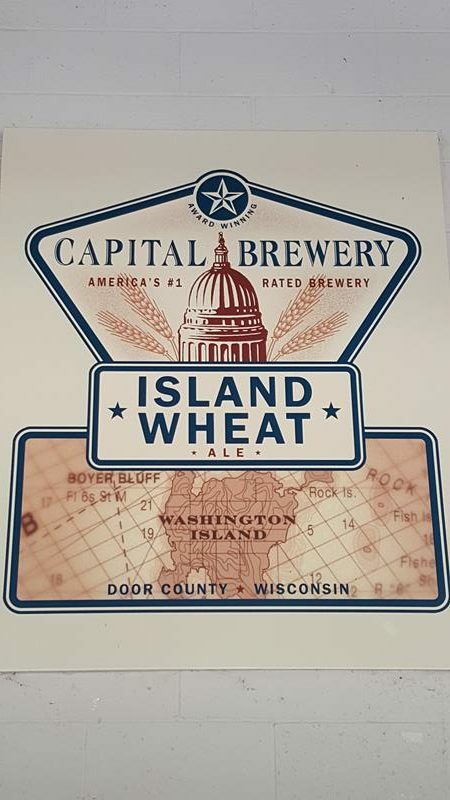 Capital’s offerings include their flagship Wisconsin Amber, a very Sconnie lager called Supper Club, the Mutiny IPA, Capital Special Pilsner, a Munich Dark for dunkel lovers, a black ale called Dark Voyage, the patriotic U.S. Pale Ale, the unfiltered Ghost Ship (with spice and citrus including grapefruit), and Island Wheat, made with wheat brought down from Washington Island off the tip of Door County. In 2015, they debuted “Grateful Red,” a red IPA saluting the student section at Badger basketball games. 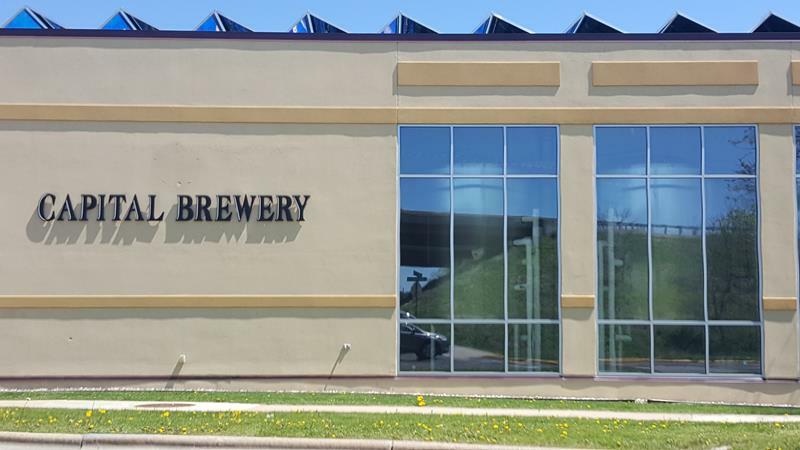 The brewery offers tours for $7 which include a 30-45 minutes tour of the facility (they call it a “BREW-VENTURE”), a commemorative glass and 4 samples or one pint of beer. Self-guided “tasting tours” can be done anytime at their Bier Garten or Stube, where you can load up on six samples for $8. During the warmer months, plenty of outdoor events take place at their Bier Garten. Accordions may be involved. 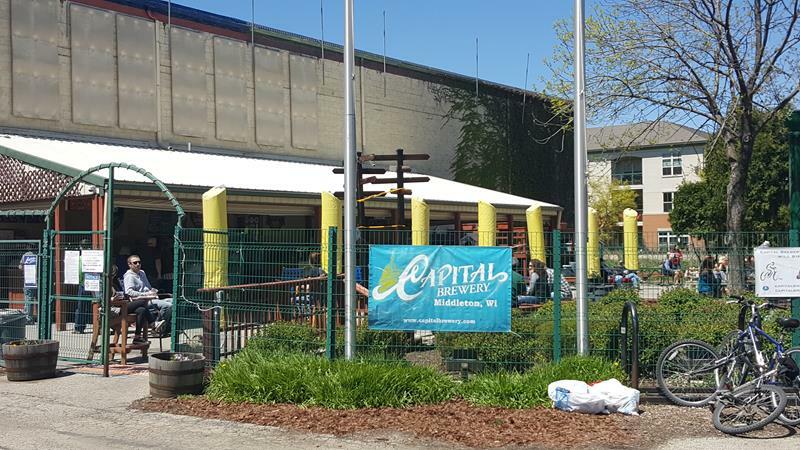 Capital Brewery is on the western edge of Middleton’s historic downtown, visible from the Beltline (U.S. 12/U.S. 14) and easily reached via Greenway Blvd (Exit 252) or University Avenue (Exit 251) exits. The National Mustard Museum is mere blocks away, too!